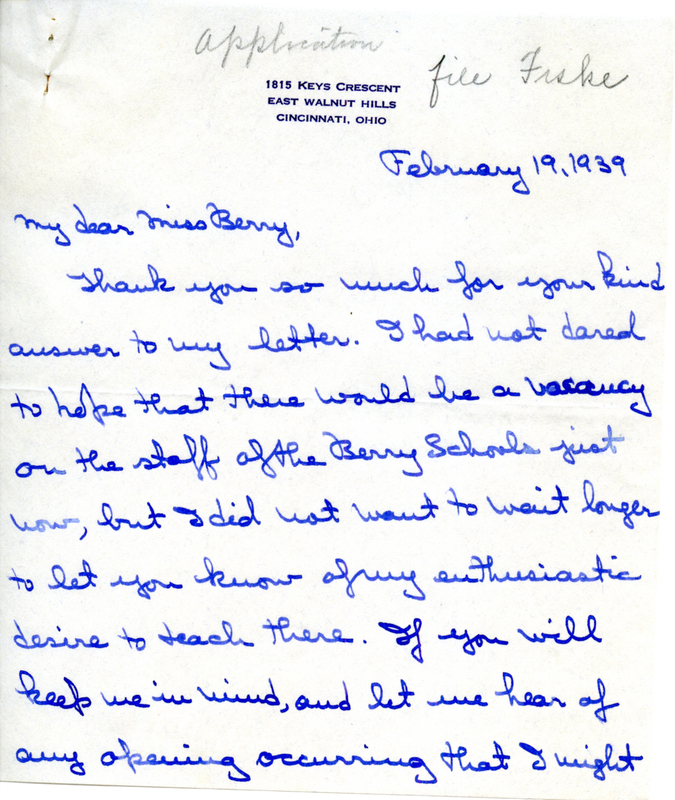 A letter from Isabelle Fisk to Martha Berry replying to her previous letter inquiring if there were any vacant staff positions at the school, and asking that she be kept in mind if any positions become available. 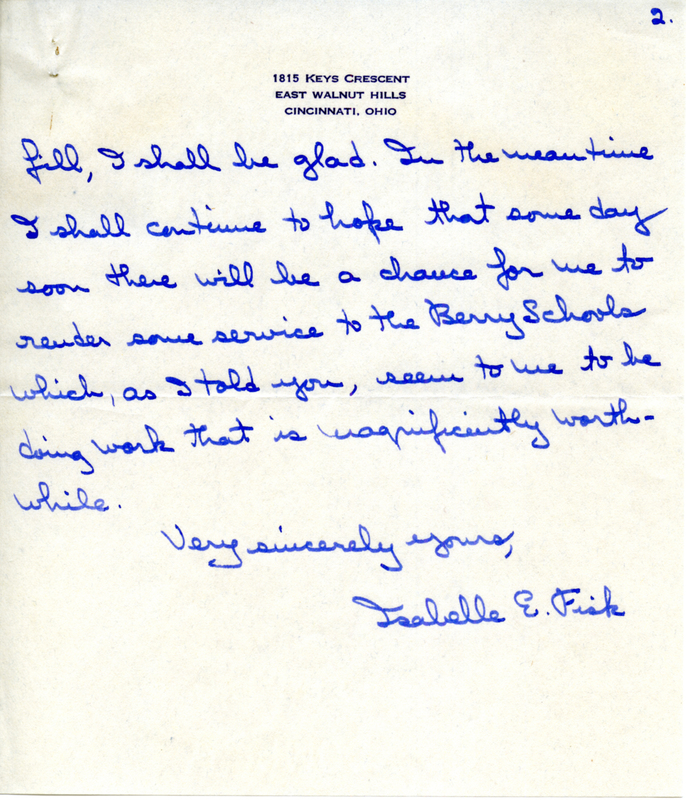 Isabelle E. Fisk, “Letter to Martha Berry from Isabelle Fisk.” Martha Berry Digital Archive. Eds. Schlitz, Stephanie A., Olivia Mund, Justin Karch, Jessica Hornbuckle, et al. Mount Berry: Berry College, 2016. accessed April 24, 2019, https://mbda.berry.edu/items/show/14841.